Time to leave Sabah, Borneo. 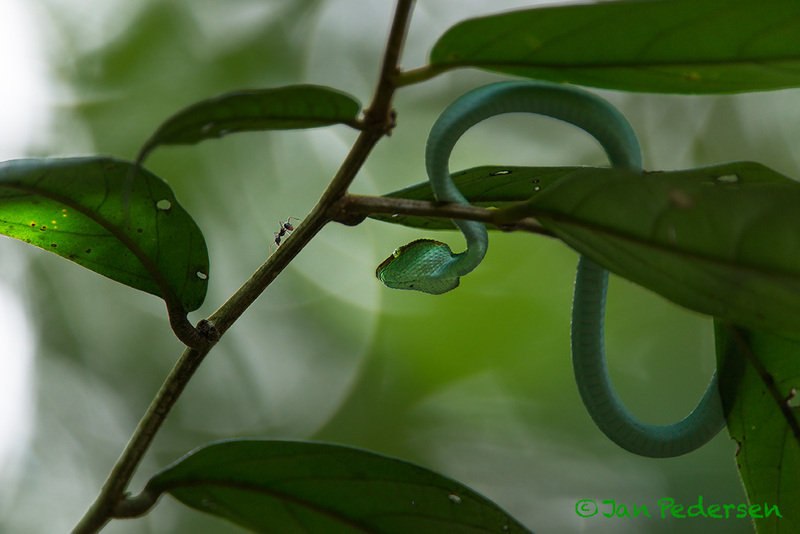 This tiny (pencil-thin) juvenile "Wagler's pit viper" was lying on the same twig in Sepilok from the previous tour in januari until this tour. A span of 4 weeks on the same branch - waiting to strike a prey !!! Slow food is just the name.